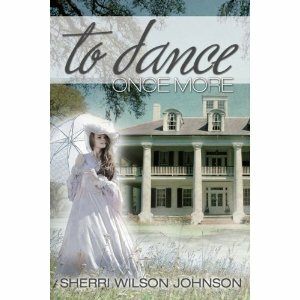 I’m not usually a big fiction fan (although I’d like to try my hand at writing it one day), but I just finished reading and enjoyed so much my sweet friend Sherri Wilson Johnson‘s newest fiction book, To Dance Once More. From the moment, I began reading it, I was absorbed in the story. Set in Gulf Resort, Florida, in the late 1800’s post-Civil War, the story had an immediate feel of my favorite book (other than the Bible), Gone With The Wind. But I believe the main character, Lydia, has greater depth of character than Scarlett O’Hara (as much as I love Scarlett!). Lydia was a woman I connected with right away – she wants more in life. She loves God, her family, nature, horses, the beach, writing – and dancing. She is not satisfied with traditions’ expectations of her to be just a wife and to have babies (as wonderful as that was!). She wants to go to Paris, France, eat the rich French food, see the infamous paintings and statues. She wants to travel all over the world and do something exciting with her life, to change the world. In the story we watch Lydia grow in maturity for several years until she reaches 21 years old. While she loves her parents and family deeply and she enjoys learning from her governess, Miss Kathryn (especially hearing about her travels), Lydia feels restricted and bored at home. Miss Kathryn encourages Lydia to pray for God to show her what He wants Lydia to do with her life. One day, upset over Hamilton being too physically expressive of his growing love for her, she runs home and overhears an argument her father has with Mr. O’Sullivan, who is blackmailing him about his debts that he owes and is forcing him to make Lydia marry his son Frank as part of the “deal.” Lydia is in despair that her dreams of traveling will never come true and that her father is arranging for her to marry someone she doesn’t love. Lydia is a dreamer and full of passion – she loves cooling her bare feet in the pond’s cold water, fishing, and riding her black horse Gabriel. The last thing she wants is to be enslaved in marriage forever to a man who she hasn’t given her heart to, living a dull life. She knows she has a higher purpose. Lydia’s struggle and fear is with losing control…and being bored with life! She needs adventure! She doesn’t know if her childhood-turned-suitor friend Hamilton will wait for her hand until she is 20, the age her father requires her to be before courting. When she meets the dark-eyed Bradley in Pensacola and thinks he may be her future husband, she isn’t sure if he will be willing to travel to visit her and talk to her stern father about courting her. Then there is the arranged marriage that haunts her days and nights….will her father really carry through with this? It’s a secret she can tell no one. She has been under her father’s thumb and it looks like she’ll be under her future husband’s thumb, too. Her future looks dark and uncertain – like a prison. Can she trust God with her future, with His plans for her? Throughout the years and trials, Lydia’s love for dancing never ceases. When Bradley plays music on the piano for her, she begins to dance. The music sparks a fire in her that she has never known and she can’t bear to stand still – she must dance! She also begins writing, writing of the beauty around her, her home, the land where she grew up. Yet even when tragedy strikes from yellow fever, she has faith in God and believes that her dreams would come true. After she has an accident on her beloved horse, Gabriel, she comes to a realization that she has been living selfishly for years – and she repents to God and her parents for her selfishness, unforgiveness, and the bitterness that has grown in her heart because of her father’s deal and being “trapped” in the future marriage, over which she has no say. She consents to the arranged marriage. The book’s ending, while not a complete surprise, is still pleasant and leaves you satisfied and happy for Lydia, whose character often made me laugh and I grew to love. The searching Lydia does as she is growing up, the loneliness and at times the longing she has, is what all of us do in our lives. We are searching for true love, for the One who will dance with us – Jesus. We all are seeking God. Only He can fill us; only He can satisfy our hearts’ deepest desires. I recommend this great book. You can find it here at Amazon and visit Sherri Wilson Johnson’s website. You will love her! And please watch this video below – to the very end! It’s so beautiful – it just makes me cry watching it! Beth, thank you so much for the review!! !